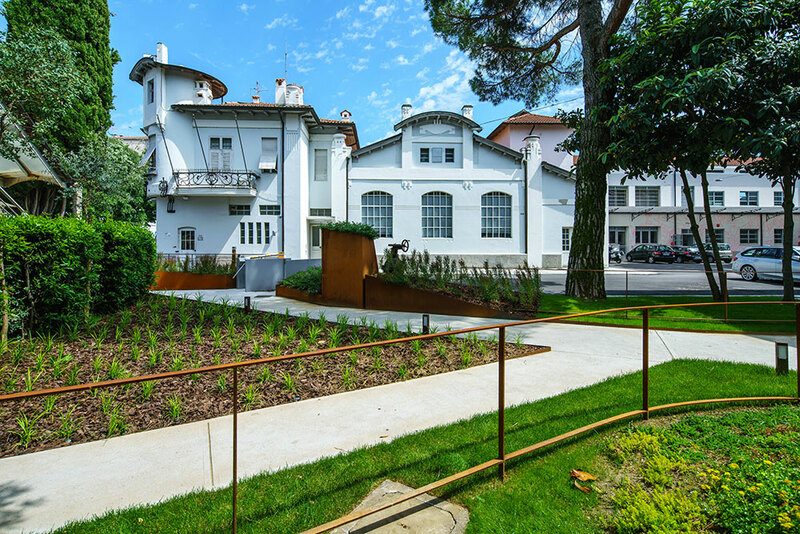 The reconstruction of the pedestrian entrance and the garden of the IrisAcqua site is configured as a micro-architecture project. 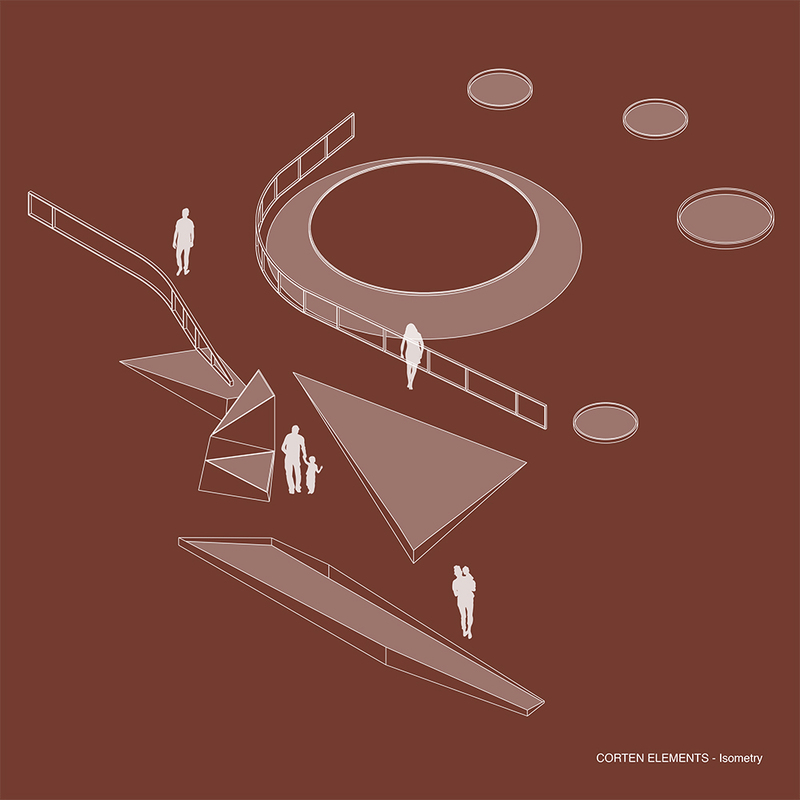 The creative process focused on the "built landscape" theme. 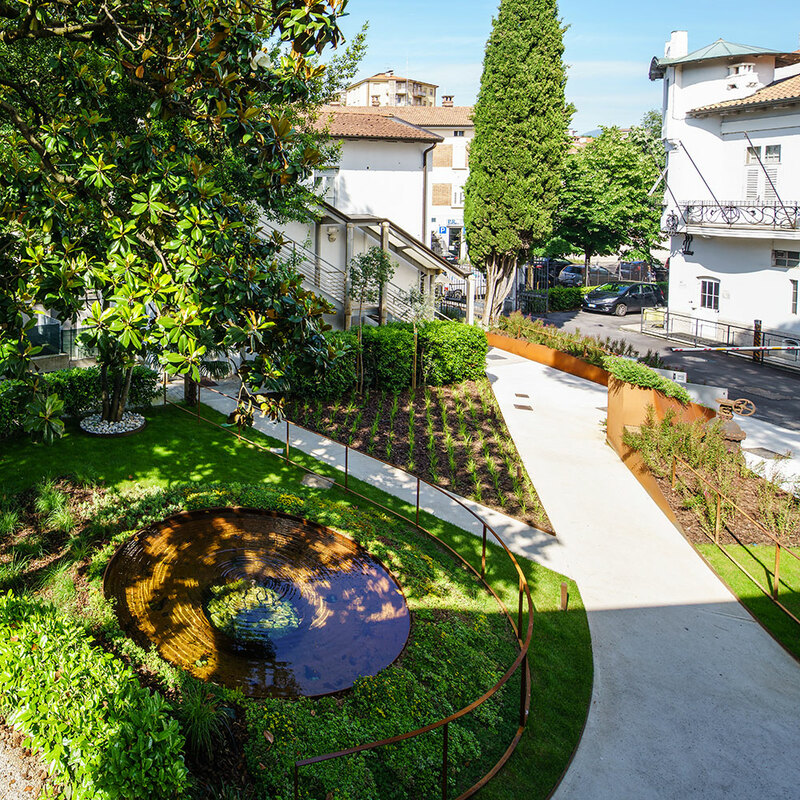 The flowerbeds in a state of neglect and the green of the garden flowed anonymously under the eyes of users and employees who, entering the courtyard from the Liberty entrance of Andrea Perco, headed towards the headquarters and the operational branches (also redesigned later). 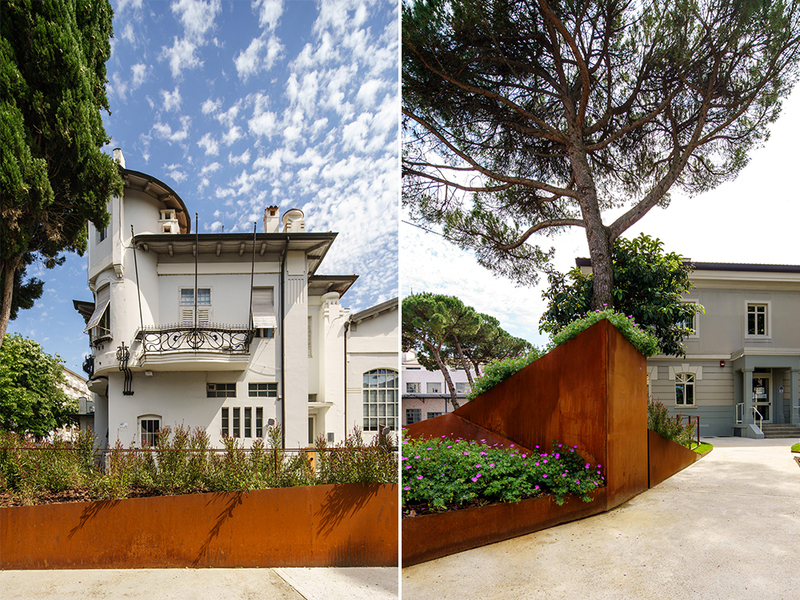 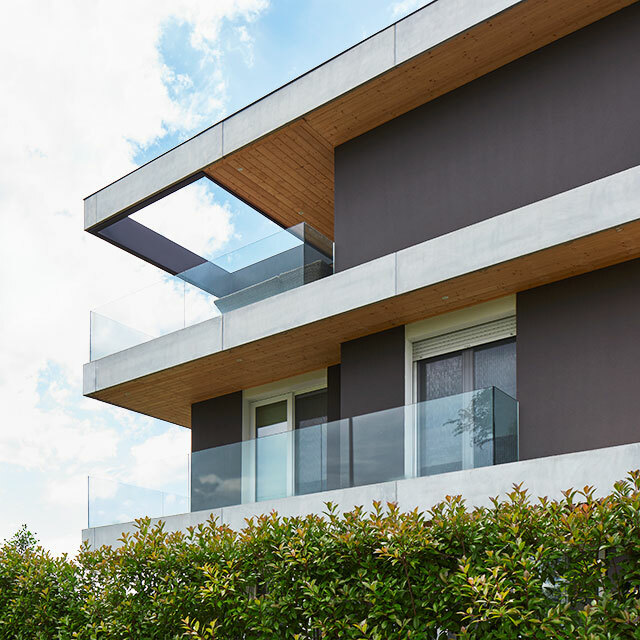 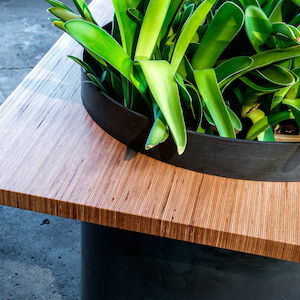 The decision to use corten steel to build and to model this urban landscape is not casual: the colors of steel dialogue with the colors of the earth and the bark of large domestic pines on the site. 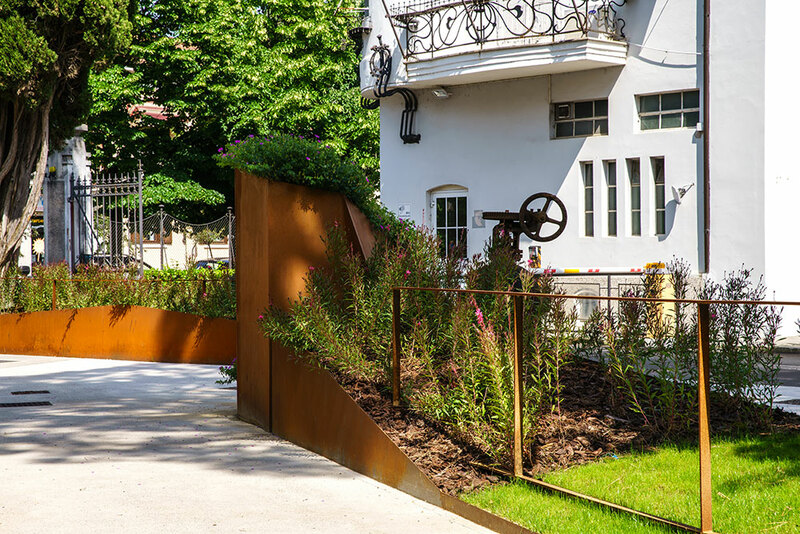 The core of the new poetics of the place is precisely the combination of green, the protagonist of the garden, and the sculptures in corten, extras capable of enhancing the spectacle in the eyes of the visitor. 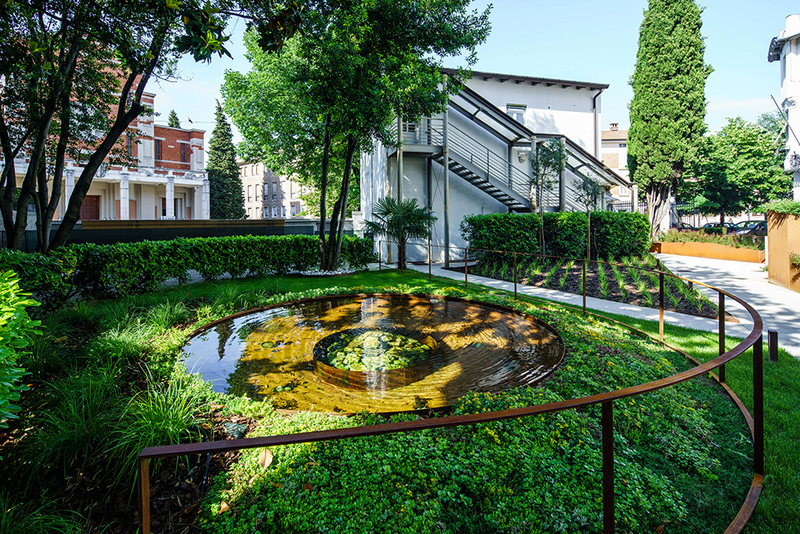 The variety of views is ensured by the alternation between the clean and mineral geometries of basins and flowerbeds and the soft lines of the circular "pool of water" and the balustrades that border it. 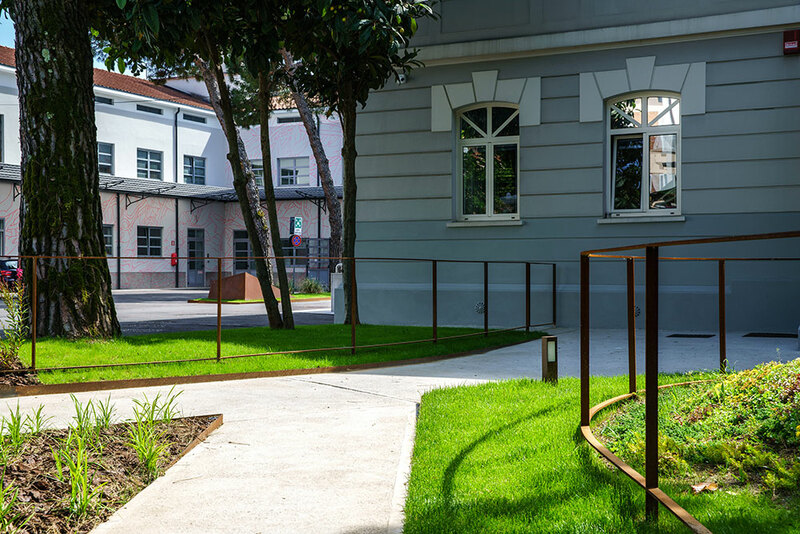 The trait d'union between these two languages is constituted by the concrete tongue of the pedestrian alley leading to the entrance of the headquarters and to the different offices. 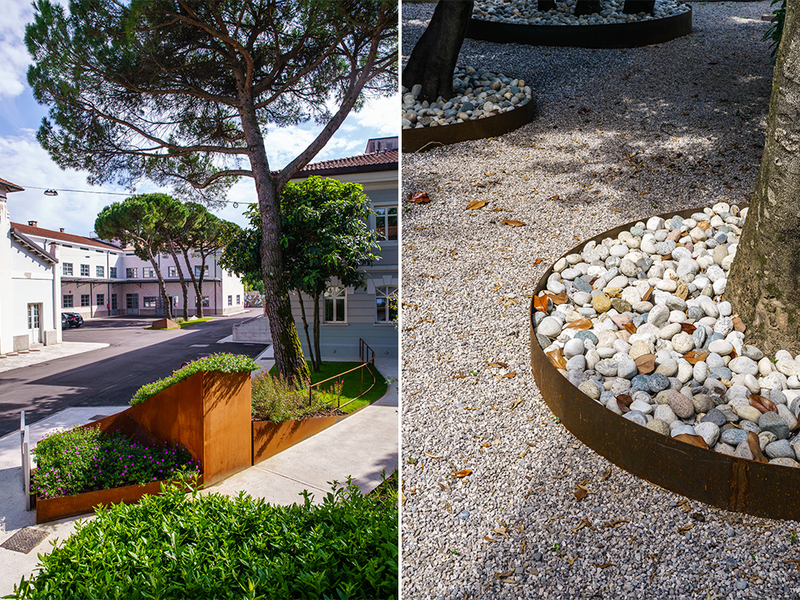 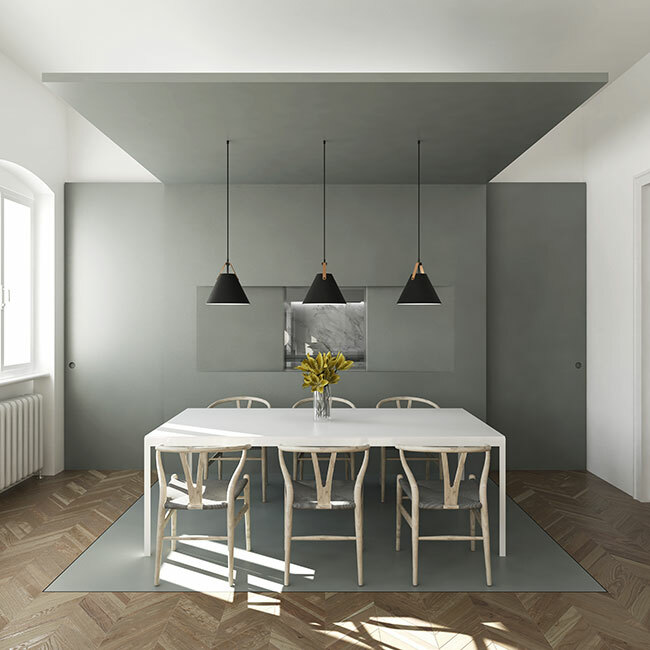 The green project took into account the most precious essences already present in situ (Pinus pinea, Cupressus, Laurus nobilis) and combined them with new ones, able to dialogue with the context and with the new landscape built by metallic elements.